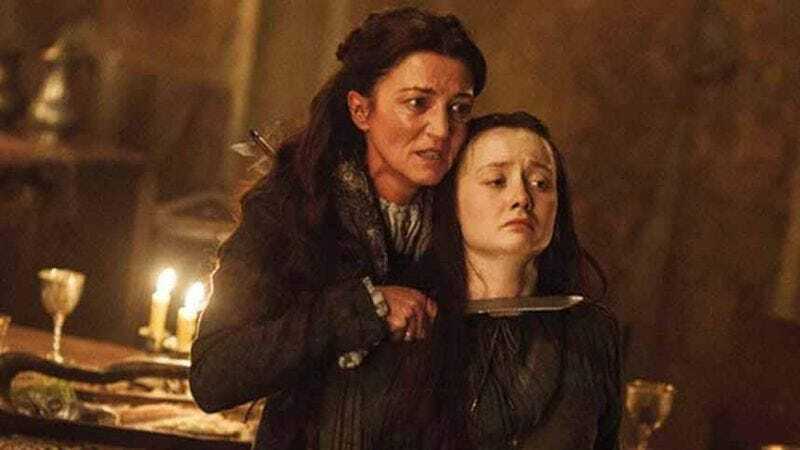 HBO’s Game Of Thrones returns for its final season on July 16, and we’re all excited to see how many acts of cruel violence they can cram into seven episodes. It’s true that death comes fast and furious on the series—it broke a “setting people on fire” record, after all—so here’s a refresher on everyone who’s bit the dust. Courtesy of HansoArt, the video swaps out redundant video footage for hand-drawn illustrations and practical effects that cleverly evoke each character’s demise. Splashes of ink and hidden panels work to recreate the various deaths, which run the gamut from beheadings and hangings to… well, you remember that whole Shireen situation. Still, despite the morbidity of its premise, humor abounds in the clip. A squished tomato is used to recreate the Red Viper’s death, while Jon Snow’s resurrection is accompanied by Terminator-esque shades and a hearty “LOL.” And, as with the sixth season, the whole thing ends with an explosive burst of flame. Who will fall first in season seven? We’re rooting for Ed Sheeran, no matter what he says.